NorthBay Healthcare’s program goes beyond the initial life-saving treatment of traumatic injuries and the necessary rehabilitative care that follows. In fact, great effort is being put into injury prevention. For instance, the No. 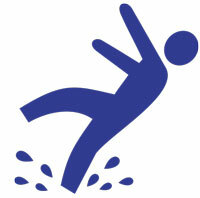 1 cause that sends people to NorthBay Trauma Center is falls—accidents in the home and at work. A team of health educators from NorthBay has spent hundreds of hours at community events, spreading the word of how you can reduce the chance of being a victim of a fall. NorthBay is a major supporter of the Fall Prevention Partnership of Solano County’s Senior Fitness Festival Sept. 18 at the Kroc Center in Suisun City. It will feature dance classes, interactive displays, classes and plenty of information from medical experts on fall prevention. Call (707) 643-1397 to register for the event, which runs from 9a.m. to 1p.m. Visit NorthBay.org/trauma to learn more.